The following offers below are exclusive for Faithraiser.Net subscribers to the Catholic Faith CD of the Month Club only. This FREE ebook is only available for the May 2011 CD of the Month Club’s new and current subscribers. Receive a free copy of the ebook, “Marriage Bliss” by becoming a member of the Catholic Faith CD of the Month Club. If you just would like to purchase the ebook on its own, click here. soon! More details about the CD of the Month Club here. Join the CD of the Month Club now! Click here. This FREE ebook is only available for the April 2011 CD of the Month Club’s new and current subscribers. If you desire to purchase this product separately, you can do so here! soon! More details about the Catholic Faith CD of the Month Club. 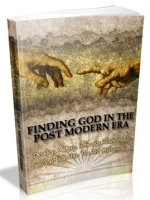 This FREE ebook is only available for the March 2011 new and current subscribers. Learn Everything You Can About Spirituality And Experience Your Life At A Whole New Spiritual Level As Though You Are Meeting God Face To Face! Imagine If You Can Become A Spiritual Person And Align Every Goal In Your Life Towards Your True Calling… This eBook Will Show You The Way! If you desire to purchase this product separately, you can do so here. 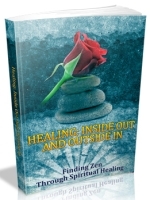 This FREE ebook is only available for the February 2011 new and current subscribers. The word “Give” was cited 869 times in the Scripture, while the word ”Gave” was brought up 633 times. The word “Offer” was noted 123 times, while the word “Offered” was brought up ninety times. “Tithe” was brought up 13 times, while “tithes” 15 times. Overall, the theme of giving or being generous was cited in the Scripture 1,713 times, therefore making this as among the most highly accented themes in the Word of God. This is why regardless what they say against tithing or giving or as becoming generous as they ignorantly say it to be “unscriptural”, never believe them, as we ought to only believe and believe on God and His words as He has stated. And even if yet, you don’t believe about the idea of becoming generous, I do hope that our simple word search will provide you the idea of how crucial this is in life. 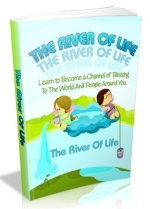 This FREE ebook is only available for the January 2011 new and current subscribers. Stress can cripple you. Today’s fast-paced life-styles call for relief. Personal letdowns, broken family relationships and job related tensions are disabling thousands. 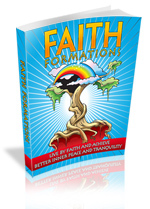 This easy-to-read, easy-to-follow guide offers long-lasting solutions to the challenges of daily life, inner peace and building different kinds of faith. Discover what millions of people have discovered……. Note: Your free e-book will be delivered to you by email which are compressed compressed into zip files. Many computers will automatically unzip compressed files just by double-clicking the zip file. If you need access to a free unzip program reader click here.